China is set to build the largest free trade zone in the Horn of Africa, Djiboutian Finance Minister Ilyas Moussa Dawaleh has said. In an interview with Anadolu Agency Thursday, Dawaleh said China plans to set up the trade zone in Djibouti, which will boost its efforts to increase business and trade activities in northeast Africa. "The FTA, which covers an area of six square kilometers [2.3 square miles], is aimed at stimulating China’s presence in Africa and the Red Sea regions," he said. "The FTA agreement between Djibouti and China embraces catalyzing custom affairs, monitoring and using international standards at shipment checkpoints, and producing some Chinese goods in the country," he added. 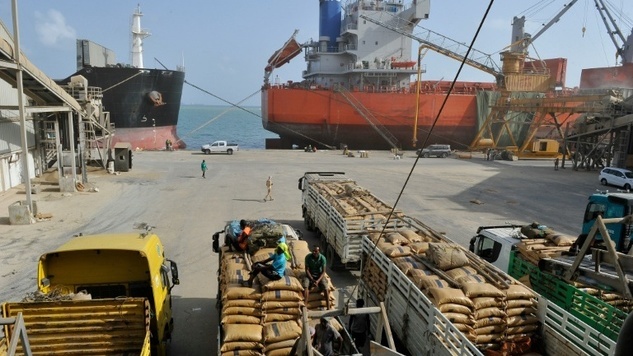 According to analysts, the ports of Horn of Africa were turning into economic hubs, thanks to foreign investments and increasing competitiveness between Arab countries and foreign investments. About the involvement of Gulf countries in the Horn of Africa, a Somali-based economist, Abdullah Taher, said there was a 21-year agreement between Dubai-based Jebel Ali Free Zone, one of the world’s largest free trade zones, and Djibouti port. In December 2014, the Djibouti Ports and Free Zones Authority chairman told Anadolu Agency that China was a shareholder in the construction of the Port of Djibouti, which is strategically located at the crossroads of one of the busiest shipping routes in the world, linking Europe, the Far East, the Horn of Africa and the Persian Gulf. Out of the total cost, 90 percent of funding for the port infrastructure development came from China, the chairman had said. China is an important economic partner for Djibouti, providing funding for several major projects, including for the construction of a railway between Djibouti and Ethiopia.